Home Best Baby Products Chicco Nextfit Vs Nextfit Zip Car Seat : What is The Difference? As parents of small children, it is important that we find the best ways to safeguard our little ones in situations such as riding in a car. Therefore, it is car seats that we will be comparing in this article. Two car seats of the same brand, but with a few different features. Today, we will be evaluating the differences of the Chicco NextFit vs NextFit Zip. a better overall view of which one would be the best fit for their personal lifestyle and needs. 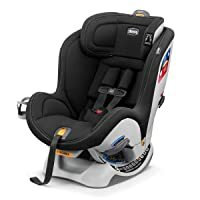 Therefore, we will go over every part of the car seats and then talk in detail on how each feature could help you make your decision on which is perfect for your little one. So, without further explanation, let us get started on the important facts of the Chicco NextFit vs NextFit Zip. As we all may know, Chicco is a leading manufacturer in baby equipment. They have top of the line high chairs, strollers, and most of all – car seats. So, it is not surprising that you, the parent or parents, would consider these two models by the Chicco company. As you can see, there are not any features that one has different than the other. For the most part, and according to the customer reviews on Amazon, they are equipped with equal amenities and are almost the same. Although it seems there is no real Chicco NextFit vs NextFit Zip comparison with most people who have bought this product, you, the parent, who has the prospect of buying one of these car seats, might still want to have a little more information to separate the two. If so, let us state in more detail what may be decision making differences between these two seats. Obviously, both have design features that are alike. However, there may be one or two features that are slightly different than the other. For instance, the cup holders. The NextFit’s holder snaps off and can be washed, and does not mention a fold up, space saving option. Whereas, the NextFit Zip’s holder snaps off and does mention a fold up option. but it did not elaborate on how it could be removed in order to do so. And the NextFit zip apparently has zip-off padding that is washable. In this case, it would be up to the person who purchases one of these seats if this is a major deal breaker to which one they would choose. Comparatively, all other positive points of these two car seats are the same as stated in the list above. All measurements and dimensions of these car seats are the same and with a maximum weight capacity of 65 lbs. With that said, they both should accommodate a child well into their toddler years. You can learn more about Chicco Nextfit in the video below. At this point, we have gone over the main features and the fact that these two seats are, for the most part, the same. So, the determining factor is one that will have to be made by you, the consumer. It should also be noted that others who have bought one of these car seats state that the price for a Chicco might be a bit higher than other known brands, but the durability makes them worth the price tag. and probably not any negatives that would matter to most people who have kept notes up until this point, they could be important views for some who are small car owners. It seems these car seats are a bit hard to set-up in the rear-facing position. Apparently, this has made it a difficult task for people who drive smaller vehicles. Also, if you need to use these car seats for a stroller until your baby grows enough to sit up for themselves, it seems that some feel it is too large for a secure position. 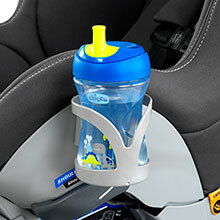 However, there have also been customers that say Chicco car seats and strollers fit well together. So again, it is all up to the person who will purchase the car seat. Photo & Video credits: Amazon, Clueless Dad, Momma Alia.